The annual Best Practices and Innovations in Career and Technical Education conference showcases the trending issues and best practices for CTE Administrators. 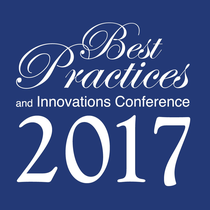 Presented by NCLA and ACTE, Best Practices is co-hosted by Central New Mexico Community College and the New Mexico Association for Career and Technical Education. Minimize the Drama! Refocus the spotlight on learning! Daryle Adams moved to Atlanta, Georgia from St. Thomas, USVI to attend college at Emory University where he graduated with a Bachelor’s Degree in Political Science. After working as an intern in his Congressman from the USVI’s district office he decided to pursue a social science education degree from the University of Northern Iowa in Cedar Falls, IA. With an education degree in hand he returned to Atlanta to teach social studies. After ten years in Atlanta, Daryle relocated to North Carolina in 2005 where he taught in the Charlotte-Mecklenburg School System before finally settling in Kannapolis where he was selected as KSC’s Teacher of the Year in 2010. While in Kannapolis he earned his Master’s Degree in Administration from Wingate University and is now pursuing his Ed.D from the same institution. Since obtaining his administration degree he transitioned from classroom teacher to high school administrator. Today, he currently serves as Kannapolis City School’s Director of Career Technical Education, STEM, and Title IIII. Daryle has been married for 25 years to his wonderful wife Lydia. Together they have one son and two very hyper dachshunds. In his spare time, he loves spending time with his family, spending time in his yard, and rooting for the Atlanta Braves. Chris Bailey is the Career & Technical Education Director for Craven County Schools in southeastern North Carolina. Beginning his career as an agricultural education teacher, Chris has served as a CTE teacher, career development coordinator, elementary assistant principal, and high school assistant principal. He was the recipient of the Dave Berryman Leadership Scholarship in 2016 and the Southeast Region CTE Director of the Year in 2015. Under his leadership, Craven County CTE has received over $3 million in grant funding to diversify and expand program offerings to meet regional industry workforce needs. Chris’ goal for the CTE program are to provide students with relevant and rigorous skill development that will make a positive impact on the local and regional workforce and economy. Rio Bravo Brewing Company is the brainchild of Randy & Denise Baker and their genuine love of people. The brewery not only continues a family tradition of service to the local community, but also provides the opportunity for Randy, a seasoned home brewer, to take his passion for craft beer to the next level. Susan Baker teaches at Desert Ridge Middle School classes that include Information Technology, Digital Communication, and Computer Aided Drafting. She designed advanced curriculums for returning students. She and the high school Engineering and Architecture instructor have created a pathway for students through high school to college with an internship opportunity at Sandia. Catherine Balestrieri is the P/NW BOCES Director of Career and Technical Education. Catherine began her career with P/NW BOCES 31 years ago as an adult literacy instructor. Over the years, she has served as the literacy site manager for programs that served thousands of ESOL learners and as the CTE Principal. Sly Boskovich moved into education after spending 12 years working in juvenile corrections. Passionate about youth, the move to education was a natural fit and she has been with the Franklin Pierce School District for the past 22 years. Currently, Sly serves as the Director of College and Career Readiness and as the Washington Association of Career and Technical Administrators past-president. Sly is a reflective leader who strives for excellence everyday while advocating for all students. Tracey Bryan currently leads one of New Mexico’s most successful collective impact initiatives – The Bridge of Southern New Mexico. This business-led, education-focused partnership ignited the vision that led to New Mexico’s first Early College High School and cultivated a community focus on increasing high school graduation rates – which now outpace the state at 80%. The organization has now convened an even larger set of community partners to create the first-ever comprehensive approach to workforce development built on the foundation of Career and Technical Education pathways to fuel long-term economic development for the county and region. Jaime Casap is the Chief Education Evangelist at Google. Jaime evangelizes the power and potential of technology and the web as enabling and supporting tools in pursuit of promoting inquiry-driven project based learning models. Jaime collaborates with school systems, educational organizations, and leaders focused on building innovation and iteration into our education policies and practices. He speaks on education, technology, innovation, and generation z, at events around the world. In addition to his role at Google, Jaime serves on a number of boards for organizations focused on education, innovation, and equity. Jaime is also an adjunct professor at Arizona State University, where he teaches classes on policy, innovation, and leadership. Saundra Castillo is the Division Dean of Advanced Technologies at Dona Ana Community College, New Mexico State University. After graduating with her B.S. and M.A. from NMSU’s College of Agriculture, Consumer and Environmental Science; Saundra spent thirteen years teaching in STEM and CTE content areas. She then transitioned into educational leadership and administration. Working as an Educational Consultant for the New Mexico Public Education Department, she provided technical assistance and professional development to educators and administrators across the state using proven pedagogical principles and practices. As State Director for Career and Technical Student Organizations, she worked with eighty secondary schools and 13 post-secondary institutions in the state of New Mexico. For these organizations to operate efficiently and effectively it requires many volunteers. Ms. Castillo has partnered with over six hundred businesses to provide high quality experiences for students. In May of 2016 she guided the work at DACC in developing connected Programs of Study through dual credit. These Programs of Study link secondary courses to Community College awards and industry certifications, to workforce needs in the region, and/or four-year degrees at NMSU and other four year institutions. A visionary school leader committed to continuous improvement and advancement of the organization to perform at its highest levels of efficiency and effectiveness for the best interests of all students. Student success and achievement for all is the ultimate goal and purpose and is only achieved through focused, targeted teamwork in partnership with the district including the parents, students and community stakeholders that have a vested interest in educational success for our youth. I am committed to continuous development of the people and staff under my leadership as well as engaging all partners in a positive dialogue for a commitment to excellence in all operational activities for the success of all. Dr. Conrad obtained her Bachelors of Art degree through the University of Akron in English, a Masters of Art degree in Student Affairs Administration in Higher Education from Ball State University, a Masters of Science degree in Counseling Psychology from the University of Kansas, and her Doctorate of Philosophy in Higher Education Administration from the University of Kansas. Dr. Conrad began her tenure with the University of Central Missouri in 2009 with the Missouri Center for Career Education as a Research and Curriculum Project Specialist, moving into the Coordinator of Teaching & Learning, and then serving as the Co-Director for the Center. She is currently an Assistant Professor in both Educational Leadership and Human Development and Career & Technology Education. Dr. Conrad has been involved with the Association for Career & Technical Education and related state organizations. Throughout the years she has been involved as an executive board member on the Missouri Council of Career & Technical Administrators, a consultant for the Missouri Department of Elementary & Secondary Education’s New CTE Teacher Institute, and serves on the University of Central Missouri’s College of Education Leadership Team. In addition to presenting and co-presenting at numerous state, regional, and national conferences, Dr. Conrad has served as a judge for State and National SkillsUSA competitions and Future Business Leaders of America (FBLA) state competitions. Most recently she has worked with the Association for Career & Technical Education on a Gates Foundation Teacher Practice Network Grant to develop the CORE Community and with the Longview Foundation to develop a CTE class to assist teachers to build global competencies into CTE curriculum. Donna is currently the dean of the school of Business & Technology at Central New Mexico Community College (CNM) and has worked in higher education for the past 16 years. She discovered her passion for community colleges as Director of Parents of All Ages, a welfare to work program at Southeast Community College in Beatrice, Nebraska. A non-traditional student herself, Donna completed her bachelor degree while working full-time and raising a family after working in management for over 15 years. She completed her Masters in Educational Administration with a focus on Community Colleges in 2011, and is currently working towards her doctorate in Professional Leadership, Inquiry and Transformation. Donna’s prior positions at CNM were Director of Hospitality & Tourism, Full-time faculty and Associate Dean of Business Management. Donna has represented CNM as a founding member of the Competency Based Network (CBEN) and has led the strategic initiative teams at the college for Fast Track Degrees and Business Incubators. Exploring and developing new innovative educational opportunities for students and the community is a key motivator for Donna every day. Daniel is a lifelong Alaskan who has a broad background in both public education and private industry. After teaching CTE/STEM for eight years, Daniel served as assistant principal and then principal at Hutchison High School in Fairbanks. In 2013, Domke’s last year as principal, Hutchison was recognized as a high progress school by the State of Alaska. Daniel and his wife have also owned an aviation business for the past 25 years. Daniel is an instrument rated pilot, federally licensed aircraft mechanic and ASE certified automotive technician. Mary Jane Dove enjoys a diverse background in education; most recently she spent nine years as Director of a CTE Center in central Arkansas, serving four high schools and a technical college. She has presented seminars at many conferences, including VISION 2016, and has been published in September 2014 Techniques.Dr. Dove is thoroughly acquainted with the perplexity of leaving business and industry and becoming a CTE instructor, and has assisted many with this transition. She has a passion for learning, and believes that educational opportunities and strategies must continue to evolve and grow. Melissa Villegas Drake is originally from El Paso, TX. She obtained a Bachelor of Science degree in Electrical Engineering from New Mexico State University and her Math Secondary Education Teaching Certificate from Arizona State University. She has a Master’s in Career and Technical education from Northern Arizona University. Melissa is also a fellow for the Association of Career and Technical Education of Arizona serving as an advocate for Career and Technical Education. Melissa has been an educator teaching for eleven years and has accepted a job as a math and programming teacher for Dysart School District in Phoenix, AZ. She is a co-founder of Girls in Tech Phoenix. Melissa has also served as the National President of the Society of Hispanic Professional Engineers.­­ She was awarded the Society of Hispanic Professional Engineers STAR Teacher of the Year Award in 2014. Melissa is a former engineer who worked at Rockwell Space Operations, United Space Alliance, Motorola and On Semiconductor. Melissa’s life goal is to motivate youth to pursue careers in STEM. Dr. Joey A. Fleck is an Assistant Professor of Education and Coordinator of the Competency Based Teacher Education Program within the Workforce Education and Development Program at The Pennsylvania State University. He consults, teaches, and conducts research in the areas of leadership development and Career and Technical Education teacher education. He holds a Ph.D. in Workforce Education and Development from The Pennsylvania State University. He has also published in research journals and presented at a variety of educational conferences. His experience includes career and technical education instruction, administration, and leadership in volunteer organizations. Technical skills are the new currency in the 21st century, but how do we balance preparing students for both higher education and the workforce? This presentation will discuss new paradigms and tangible action steps for CTE to help all students gain a competitive advantage. Fleming, producer of the animated YouTube video Success in the New Economy, will make a clear case for students to explore career choices early, make informed decisions when declaring their college education goal, and consider technical skill acquisition and real-world application in tandem with a classical education. Finally, his new video will both invigorate and challenge the evolution of CTE. Are you ready to pivot? Education has been my passion for over four decades. I have had the privilege to serve at all levels of education from pre-school to adult education. My common goal at all levels is to “mirror” back the strengths and talents of each individual so they may discover and capitalize on their unique abilities. Some of the positions I have held are, teacher, State and Local Government Specialist at Michigan State University, Articulation Specialist and Assistant to the President at Ferris State University, Director of Training for PLTW, National Marketing Specialist at NOCTI and Outreach Specialist for CareerSafe Online. Currently, I am a consultant for SkillsUSA and Today’s Class plus I serve on a local School Board. I am always seeking opportunities to help young people discover their passion. Dr. John C. Foster is a dedicated leader and advocate for individuals preparing for the workforce. He currently serves as the President/CEO of NOCTI and Nocti Business Solutions (NBS). These organizations provide industry-based technical skill credentials for career and technical education (CTE) programs at the secondary and post-secondary levels across the United States. Previously, Dr. Foster served as the State Director of CTE in the Pennsylvania Department of Education, a state which recognized the importance of industry credentials and championed the use of mandatory technical assessment. Dr. Foster has over 40 years of varied experience in workforce training, and tailored industrial training program development. He has served as a teacher, administrator, teacher educator, Governor’s Strategic Planning Committee member, and has been involved with numerous economic development associations, national apprenticeship training, and various WIOA boards. He has written and researched data-driven instructional improvement, has authored five books, several research articles, and served as a core member for the National Research Center for Career and Technical Education. NOCTI and NBS are both engaged in development of the innovative Credential Engine Initiative (funded by Lumina and JP Morgan) and are active members of a number of organizations including the Association of Test Publishers (ATP). Dr. Foster has degrees in teaching, administration, organization development and a Ph. D. in workforce development. During his tenure with NOCTI/NBS the organization has tripled in size and increased the number of state and local contracts as well as the number of trade associations they deliver credentials for. Through Dr. Foster’s leadership the organization has been deeply engaged in digital badging, professional development delivery, and recognition of technical excellence. Over the past 21 years, Janet Goble has been entrenched in CTE. As a business teacher, she taught all business courses (except Accounting) from middle school to the college level. She served as the Business Education Specialist at the Utah State Board of Education from 2006-2009. When Canyons School District in Sandy, Utah was formed in 2009, she joined the district as the CTE Director and continues to work in this capacity. Janet is currently serving on the ACTE Board of Directors as the Administration Vice President. Sharon Gordon-Moffett is the Director of Service Learning at Central New Mexico Community College (CNM) and administers the Carl D. Perkins Grant for the College. Always a champion for SERVICE and CTE, she was an ER nurse in Albuquerque for many years, then changed her career path to become a welder and machinist. In 2003 she began her journey in post-secondary education and continues to support CTE through CNM’s vision of Changing Lives and Building Community. Sionna Grassbaugh has been with CNM for over 15 years, serving for the last year as a Director for the School of Business and Information Technology (BIT). As Director, Mrs. Grassbaugh is responsible non-credit and bilingual workforce initiatives, as well as oversite of school grants and fast track programs. In her first position at CNM, as the Director of School Relations, Sionna spearheaded CNM’s Dual Credit program and contributed to the growth of the program for CNM and the State. In 2007, she served on the Statewide Dual Credit Agreement Committee as well as on several State rule committees resulting in Statewide standards and dual credit requirements for high school graduates. Sionna was also the Director of Employer-Based Programs in the School of Applied Technologies and served on the State Apprenticeship Council to ensure compliance of all State approved apprenticeship programs. As the Director for Workforce training she was responsible for the overall development, management and success of CNM’s non-credit workforce programs. Through strong connections and relationships with Higher Education, Secondary Education and Industry, Sionna has been able to make a positive impact on students and programs at CNM. Mark has a passion for social business, organizational transformation and all things digital. Witnessing the impact social media can have on individual brands and their potential for advocacy and influence on the corporate identity, Mark felt compelled to found Socially Savvy. Mark's professional experience includes client care, delivery and management capacities at companies including Cantina, Forrester Research, Collaborative Consulting and Isobar. Mark is a graduate of the United States Military Academy and served in the U.S. Army as a Cavalry Officer. Mike Hovan joined Lauren Manufacturing in 1993 as Mixing Plant Manager and quickly assumed greater levels of responsibility. Over the following two decades, Hovan served as President of Lauren Manufacturing, President of Edgetech, and Vice President of Lauren International. He also served as a Board Member of Lauren International. Following the sale of Edgetech to Quanex in 2011, Hovan became Senior Vice President of Sales & Marketing at Quanex and focused on building a consolidated sales and marketing team. In 2014, he was promoted to President/General Manager of Mikron Industries, Inc. – Quanex’s largest business division. In 2016, Hovan returned to the Lauren International family as its COO. He is recognized for his exceptional leadership skills and his commitment to give back to the community. Hear Mike discuss his commitment to re-emerging manufacturing and his community work. Zack Hubbard is the Program Chair of Information Technology, Medical Office Administration, and Office Administration at Rowan-Cabarrus Community College in Salisbury, North Carolina. Zack teaches Introductory Computing, Networking and Security, as well as Programming and App Development. Zack holds a BS in Business and Technology Education, as well as an MBA focusing on Information Systems from Appalachian State University. Recently he has completed a Graduate Certificate in Information Technology from the University of North Carolina at Charlotte. Zack previously served at the coordinator of the Academy of Information Technology with Cabarrus County Schools in Concord NC. Laureen Gay Jones is a native New Yorker who relocated to North Carolina and works for Franklin County Schools as the Career Technical Education Director. Laureen began her career as a guidance counselor, then became a career development coordinator and a school to work coordinator. Laureen is passionate about linking schools with industry through innovative programs and grant funding.Her leadership is instrumental in maintaining the AMSTA regional partnership, which was developed through the Education and Workforce Innovation Fund and Golden Leaf Grant, totaling almost $2 million dollars. Dr. Jones has a wealth of extensive educational experience and understands the importance of education in a changing world. Since the creation of the International Center in 1991, Dr. Jones has traveled to all 50 states and several nations working with educators to develop their commitment to school change and skills necessary to better prepare students for the future. He has also written 13 publications and developed a number of software programs for teachers. Dr. Jones has served in several leadership capacities for two decades in the NYSED, responsible for implementing leadership programs, curriculum development, professional development, integration of educational technology, and school improvement. Amanda has worked at Central New Mexico Community College (CNM) for the past 4 years in the School of Health, Wellness, and Public Safety. She has served as the Coordinator for the SUN PATH grant for the last 2 ½ years. As the Grant Coordinator, Amanda has been responsible for the oversight and delivery of the college's portion of the U.S. DOL funded Trade Act Adjustment Community College Career Training (TAACCCT) that runs through September 2018. Previously, she was the Limited Entry Coordinator where she provided support to current and prospective CNM students seeking to enter Nursing and Allied Health programs. Amanda received her Bachelors of Arts in Communication from the University of Arizona in 2009 and a certificate in Project Management from Central New Mexico Community College in 2016. She recently completed her Masters in Educational Leadership with a focus on Community Colleges/Higher Education from Northern Arizona University in August 2017. Amanda draws inspiration from her own student experience to connect with the students she supports, coordinate outreach efforts, and collaborating internally and with outside organizations. She hopes to continue utilizing her experiences and education to make a positive impact in higher education and workforce settings. Mike Maddock is the VP, Microsoft Volume Licensing Business - Americas at Certiport. He has been with Certiport for 10 years and has been recognized as the sales person of the year and a President’s Club recipient in several roles and capacities at Certiport. In the last 3 years, Mike has overseen 21 statewide adoptions of Certiport’s Industry Recognized Certification Programs in the United States with more states expected to come on board in the 2017 calendar year. Mikes works very closely with companies like Microsoft, Adobe and Autodesk to integrate learning content programs like Imagine Academy to successful certification outcomes leading to a higher degree of college and career readiness for the student. He is passionate about family, college football, certification and making a difference in a student’s educational experience with positive outcomes in industry recognized certification programs. Van Madray is currently the Dean of Business, Engineering Technologies, and Public Services at Rowan-Cabarrus Community College in Salisbury, North Carolina. He came to RCCC in 2014 from Greenville, North Carolina. Van was the Dean of Construction and Industrial Technology at Pitt Community College from 2004 until 2014. He came to PCC in 2004 from Charleston, South Carolina. In Charleston he was a Director of Continuing Education at Trident Technical College for nine years. Van supervised programs in the following areas: manufacturing, industrial technologies, construction management, insurance licensure, real estate and real estate appraisal. He also taught courses in management, supervision, team building, and leadership development. At Charleston Naval Shipyard (CNSYD) Van was a nuclear training specialist. The bulk of his teaching experience at the shipyard was focused on the technical aspects of refueling nuclear submarines. Van was employed at CNSYD for 15 years. Van has been married for 36 wonderful years to his lovely wife Katie. They have 3 children and 7 grandchildren. He has a B.S. in Psychology from the College of Charleston, a Master’s degree in Counseling from the Citadel and a Ph.D. in Higher Education Administration from the University of South Carolina. Jennifer Manise is the Executive Director of the Longview Foundation for World Affairs and International Understanding. Since it was founded in 1966, the Longview Foundation has been seeking to build a more peaceful, just, & sustainable world by equipping youth with a global perspective and understanding of political, social, and environmental issues worldwide. Prior to joining the Longview Foundation in 2010, Ms. Manise worked at the Council of Chief State School Officers as the Director of Program Development and Operations. Rachael Mann is a speaker, education consultant, and founder of #TeachlikeTED, an organization that provides teachers, leaders, and students with tools for presentation literacy. Rachael uses her voice and her expertise to broaden the conversation around education reform and to amplify the voices of teachers and students. Prior to #TeachlikeTED, Rachael was the STEM and Technology Professional Learning Director for Northern Arizona University's AZK12 Center and State Director for Educators Rising Arizona. A former high school Career and Technical Education teacher and hailing from a family of educators, she has 14 years of classroom teaching experience. Rachael is a Google Certified Educator with a master’s degree in Educational Leadership. For handouts, please click here. Angelo Markantonakis is a graduate of the Syracuse City School District. Angelo started his journey in education at St. Lawrence University as a HEOP (Higher Education Opportunity Program) participant/student. Angelo is a first generation college graduate, and obtained his Masters degree in Education with a concentration in Adult Education from Elmira College. He has worked within education in various capacities for sixteen years. Angelo has gained expertise in several areas including retention, change management, admissions processes, program development, academic curriculum, student services and building community relationships. Currently, Angelo is the Associate Vice President of Academic Programs at Rowan Cabarrus Community College, fifteen minutes north of Charlotte. In 2016, Angelo presented at national and local conferences relative to retention, curriculum scheduling, Work Based Learning, Career and College Promise, Career and Technical Education Pathways, Building Community Partnerships, and Early College Success. ngelo is especially proud of his Greek heritage, and the opportunity to live in Greece as a child, where his father was the town butcher. Hans Meeder is a recognized expert in Pathways for Career and Life Success, as well as Career Technical Education (CTE) and STEM (Science, Technology, Engineering, Math) education. He has conducted original research on these topics, authored numerous reports, articles and books, including The Power and Promise of Pathways. Hans is also author of the cutting edge blog, The Pathways Sherpa. Regan Mendina-Pellow has served over 10 years of federal service with the U.S. Army and U.S. Air Force. She has been with the Phoenix Recruiting Battalion as the Education Services Specialist for 2 years after coming from Family Services and Counseling for 8 years with the U.S. Air Force. She has also served in a capacity as a military family member for 29 years. She has developed U.S. Army education programs throughout Arizona and New Mexico in order to advance the lives of students, enrich the efforts of educators and support our recruiting force. During prior military assignments in Germany and Italy, Regan has taught for Department of Defense Schools and the University of Maryland in Europe. Her career focus has been that of furthering the efforts of Positive Psychology in the classroom but also includes focus toward special needs families enrolled in the Exceptional Family Member Program (EFMP) in the military. She is currently completing her qualitative dissertation on the effect of relocation in the military for this population. Regan Mendina-Pellow is a graduate of Chapman University with a BA in Social Science, emphasis in Political Science, Sociology and a MS in Educational Psychology. PhD work is through Capella University in General Psychology. Regan is originally from Austin, Texas and currently lives in Phoenix, Arizona. Casey Miner is an education consultant specializing in youth transitions. His doctoral research focused on implementing and improving high school work-based programs to better connect conceptual knowledge to practical application. He works with schools and leaders on programs, organizational culture and leadership development. He recently completed an Interagency fellowship with USAID, where he focused on long-term international development to build capacity, and in youth development to ensure every child has the resources and opportunities to succeed. He specialized in drivers of youth radicalization to develop effective programming to prevent and counter extremism. He is continuing this focus of youth identity and transitions as part of the Carlisle Scholar's Program this year. He has been recognized for developing a senior level resiliency program that reinforces effective coping skills to avoid high-risk behavior and practice positive psychology, as well as strategies for leaders to sustain healthy organizational cultures. He continues to focus on youth mentorship. He is a Paul Harris Fellow, a 2013 inductee into the Mira Costa High School Distinguished Alumni Hall of Fame, and he has earned two bronze stars for his military service. Lori has been with Certiport for five years where she manages the team of K12 Territory Managers. She loves traveling around the country hearing how certifications make the difference in getting students career and college ready. Prior to joining Certiport she was a Sales Manager for Novell for 10 years. Her entire career has been in the Information technology sector. She loves her family and the outdoors. Free time is spent skiing, boating and enjoying sports. Tom Moore has 30 years experience teaching mathematics from 7th grade math through Trigonometry/Functions in Missouri and Colorado. He has built 2 homes, and spends his summers working with high school youth remodeling homes for elderly, handicapped, and single moms in a volunteer program. He has vocational credentials in Applied Mathematics and Construction. He is the author of the Geometry portion of the Geometry in Construction curriculum including the 250 page student problem bank (textbook). Currently he helps with the Geometry in Construction program at Loveland High School. Teaching Geometry in Construction fulfills a 10 year dream. He conducts teacher in-services in cooperative learning, textbook selection, and Geometry in Construction. I am currently the Executive Director of Career Education for Ventura County Office of Education, where my most recent work on the VC Innovates Career Pathway Trust grant helped bring $28 million to Ventura County. I also wrote and received a grant to found the first high school Unmanned Aerial Vehicle curriculum in the state of California. I am currently working on developing several new initiatives including a high school mechatronics curriculum and a Manufacturing, Aerospace, and Robotics Center. Over the past 20 years, I have been involved in career technical education throughout my professional career. I started as a practitioner and advanced throughout the district and within the state department. I have always been open minded to new ideas, but understand the importance of protecting CTE theories, philosophies and CORE beliefs. Diana Nastasia is a member of the project management team of the Building Illinois Bioeconomy consortium hosted at the NCERC at SIUE. Her academic credentials include a Ph.D. in communication and public discourse from the University of North Dakota, a Master’s degree in cultural studies from the University of Bucharest in her home country of Romania and in educational leadership from SIUE. Diana taught, in full time and visiting capacities, at the Romanian-American University, the University of Bucharest, and the National University of Political Studies and Public Administration in Romania, and at the University of North Dakota, the Saint Louis Community College, Saint Charles Community College, and Southwestern Illinois College in the U.S. She has done research and consulting work for the International Association of Women in Radio and Television, the International Women’s Media Foundation, the European Institute for Gender Equality, the Bavarian Broadcasting Corporation’s research institute, the Social Science Research Council, and the United Nations’ Commission on the Status of Women and Human Rights Council. Kevin Nolten currently serves as Director of educational outreach activities for the Cyber Innovation Center, headquartered in Bossier City, Louisiana. In this role, he is responsible for the operations of the National Integrated Cyber Education Research Center (NICERC) where he oversees the development and distribution of STEM and Cyber curricula, professional development, and other resources for K-12 educators, school systems, and state departments of education across the country. Kevin is a graduate of Louisiana State University with a Bachelor of Science degree and a Master’s in Business Administration. Kevin served as an Assistant Principal of a K-8 school in Louisiana prior to joining the Cyber Innovation Center and is truly passionate about education. Mick Normington is a labor economist who researches the changing jobs market and interviews corporate presidents, hiring managers and human resources directors about the kinds of workers and skills they need – and why. Mick works for Lee College of Houston, where is he is a business instructor who teaches classes on human resources, labor economics and management. Mick co-wrote the book “Working Texas Style” about the changing jobs economy of Texas after the Great Recession. Mick also wrote the follow-up book “An Atmosphere of Enterprise” about job creation trends. He is also the former board president and chairman of the Writers League of Texas, which is a non-profit organization that promotes literacy and helps people write their own books. Mick is here today to discuss the changing market for jobs and shed some light on our changing economy and how those changes relate to the individual career paths that each of our students – and each of us – are taking. Mark C. Perna is the founder and CEO of TFS, a full-service strategic communications and consulting firm whose mission is to share and support every client’s desire to make a difference. As a noted generational expert, Mark has devoted his career to empowering educators to unleash the tremendous potential of today’s young people. He frequently delivers keynote speeches at national and statewide events and recently spoke at Harvard University by special invitation. At TFS, Mark’s team of talented professionals share his vision of helping organizations of all sizes experience significant gains in recruitment, engagement, retention, and performance. Marla has been an educator most of her life. She encompasses Student-centered learning in her classroom, also known as learner-centered education, teaching that shifts the focus of instruction from the teacher to the student. Now teaching at Central New Mexico Community College (CNM), she has successfully incorporated this approach with her students. Students are currently working in the community on digital media projects that support local businesses and non-profits, by creating marketing pieces to help expand and promote their businesses and/or non-profits. Kalynn Pirkl is currently an Associate Dean at Central New Mexico Community College and part-time faculty. She has been teaching at CNM for 13 years and has been in administration for the past year. She was instrumental in the design and implementation of CNM’s Fast Track Program and led the team of instructors who designed the curriculum. Kalynn has a passion for higher education and helping students succeed. She loved being on the “ground floor” of the Fast Track initiative which provides an alternative pathway for students to attain their goals. She also served as a Presidential Fellow for the college and researched the opportunity to develop an online college at CNM. She continues to be involved in the online initiative as well as the college’s competency based education pilot programs. Marie Price is the director for Workforce Training and Community Education at North Idaho College. Marie has been with North Idaho College since 2006. Marie earned a bachelor’s degree from Seattle University, master’s degree from the University of Montana, education specialist degree from University of Idaho, and is currently working on a doctorate in higher education administration from Idaho State University. In 2017 Marie was appointed to serve on the Idaho Governor’s Workforce Development Task Force, which recently presented recommendations to the governor on improving the funding and delivery of workforce training to meet the state’s growing demand for skilled workers. In her free time, Marie enjoys outdoor recreational activities including snow skiing. waterskiing, camping and trail riding. Steve currently serves as the Deputy Administrator for the Idaho Division of Career & Technical Education. Steve is responsible for fiscal oversight and the operational health of the agency. Steve spent 25 years in the Information Technology industry before migrating to education in 2003. He holds a Master's Degree in Administrative Leadership and has worked as a secondary instructor, district administrator, and state program manager. I like to work with people and organizations in the education and non-profit fields. I enjoy working with a variety of people and organizations to achieve goals which benefit the betterment of individuals and society as a whole. Amy Schakat is the Coordinator of Career-Technical Education for South-Western City Schools in Grove City, Ohio.She received her B.A. degree in Behavioral Science from Cedarville College and her Intervention Specialist license from Urbana University. In 2010 she received her M.A. in Educational Leadership from the University of Scranton.She has over 15 years of career-technical education experience as a teacher, building principal and district administrator. Her passion is connecting all students to meaningful careers through innovative program development, connections to business and industry and a focus on high level academic skills. A 26-year veteran of the brewing industry, John’s career has included assignments as Brewing Operations Manager in the largest US production brewery, Manager of Process & Product Innovation, and Director of Research & Development. He also worked as Operations Manager for the American Specialty & Craft Beer Company with oversight responsibilities at the Leinenkugel Brewery in Chippewa Falls, Wisconsin, the Shipyard Brewery in Portland, Maine & the Celis Brewery in Austin, Texas. During his extensive brewing career John also served as President of the Master Brewers Association of the Americas. During his tenure as President he collaborated with the Association of Brewers to ensure MBAA provided technical support for the craft brewing industry. Additionally he worked closely with the President of the European Brewing Congress to harmonize the association’s technical programs. John’s career also includes brewing collaborations with various brewers throughout the world including John Courage in the UK, Stella Artois in Belgium, Brahma in Brazil, South African Breweries, & Carling O’Keefe in Canada. Dr. Mary Jo Self is an associate professor in Workforce and Adult Education/Career and Technical Education at Oklahoma State University in Stillwater. She has a total of 38 years in career and technical education as a classroom teacher, campus administrator and university faculty.She also works with the University College at OSU as a faculty fellow working with students who are veterans, concurrently enrolled or transfer students.Her focus is recruitment, retention and mentoring of career and technical teachers.She has served as president of two national organizations; ACTER and NAITTE and is currently serving as secretary of the University Council for Workforce and Human Resource Education. See Dr Self discuss the CTE teacher shortage in Oklahoma and what can be done to address it. John Shannon has been in education for the past 24 years. He has taught Mathematics and Social Studies at the high school level for 11 years, been a high school administrator for 7 years and just completed his 6th year as the CTE Director in Onslow County in Jacksonville, NC. His insight from the academic side as well as the whole school aspect of the day-to-day workings of a school will benefit new and veteran directors as they develop ways to navigate the instructional support for their CTE teachers as well as the overall marketing efforts of their programs. Heather Singmaster is Associate Director, Center for Global Education at the Asia Society where her work focuses on international benchmarking and integrating global competence into Career Technical Education (CTE) programs as well as state and national policy. She leads the project, Mapping the Nation: The Case for Global Competence and is host of Education Week’s Global Learning blog. Currently, she is working on Global Competence Through CTE, a set of online professional development modules and resources to support the CTE field. She previously worked at the Council on Foreign Relations, the American Association for the Advancement of Science, and the Office of the United States Trade Representative. Heather holds a Masters degree focused in Anthropology from New York University and a Bachelors degree in International Affairs from George Washington University. Dan Stein is the branch chief for Cybersecurity Education and Awareness within the Department of Homeland Security (DHS). Dan is the former program lead of the National Cybersecurity Education and Training Program (NCTEP), which includes the nationally-focused Federal Virtual Training Environment and Cybersecurity Training Events Program. Stein has supported DHS's interests in cybersecurity education and training for eight years, both as a federal employee and as a contractor. He has also been active in federal government information security efforts for the past eleven years. Stein recently graduated from the U.S. National War College with a Master of Science in national security strategy. He also holds two master's degrees from the University of Texas at Austin and a bachelor’s degree from the University of Rochester. After a career as a Nuclear Engineer/Instructor in the U.S. Navy, Marty pursued a career in teaching secondary and post-secondary mathematics over 12 years. Marty served the North Carolina Department of Public Instruction as an instructional coach for 5 years in High School Turnaround. He worked in over 100 Secondary Schools across the state. Marty joined the Southern Regional Education Board in 2011 as a School Improvement Consultant. With Marty’s experience in Project-Based Learning, STEM instruction, and mathematics, he currently works with Career & Technical Centers and Secondary Schools in mathematics, performance tasks, and problem-based learning. Dr. Mark Threeton is an Assistant Professor of Education and Coordinator of Career and Technical Teacher Education within the Workforce Education and Development Program at Pennsylvania State University. He consults, teaches and conducts research in the areas of occupational safety and health within school environments as well as the broader workforce, facilities management and experiential learning to promote enhanced learning and skill development. His research has been published widely in scholarly research journals and books. He holds extensive credentials across education, training, and evaluation of occupational safety and health practices. He holds a B.S. in Technical Education from Pittsburg State University, an M.S. in Higher Education Administration from Kansas State University and a Ph.D. from Pennsylvania State University in Workforce Education and Development. Prior to joining the Penn State faculty, he was a career and technical education instructor with an emphasis in automotive technology and career development.